Do you like to discuss Jane Austen and her works endlessly? Do you enjoy watching the TV and film adaptations of her works? Or are you new to Austen and loving her? If your answer is yes to any of these questions, this group is for you! We meet mostly on the South Shore to get together for our Austen fix. We also mix it up with other period authors and host picnics, movie viewings, afternoon teas, tours of historic houses, and holiday parties. Find us on Facebook here. Also on Twitter @AusteninBoston. Feel free to post comments, ideas, book reviews, video clips, photographs, and any and all information on Jane Austen on our site. Carry on discussions in the comments section of each post. Our site is a great way to stay connected between our meetings. Anyone can write a comment. All members can write posts with a username and password. If you would like a login ID and password, please leave a comment below with your name and e-mail address. This is a great way to keep up with the website. Anytime there is a new post, you will receive an e-mail notification. If there’s no new post, then no e-mails. Once you sign up, you can log into your preferences and decide whether you want your e-mails delivered instantly, daily, or weekly. In addition to book discussions, we regularly attend JASNAMA (Jane Austen Society of North America – Massachusetts chapter) lectures, and occasionally organize tours of historical homes and exhibits. We’re also fond of English-style afternoon tea and picnics, and Austen movie nights. Please RSVP to all events, even if your choice is “no” or “maybe.” It helps us plan ahead, especially if we need to make reservations at a restaurant or host at our homes. I am also a fan of Jane Austen and read all her novels. Let me know if you are interested and if you want me to link back to you. I would be glad to read your answer. I live in Canon and would like to join your group. Could you please add me to your email list? Or tell me how to get involved? Thank you! You can join our e-mail list by visiting our home page and entering your e-mail address in the upper-right corner. Then you should get e-mails any time I post an event, or you can visit our events page: https://janeausteninboston.wordpress.com/events/. 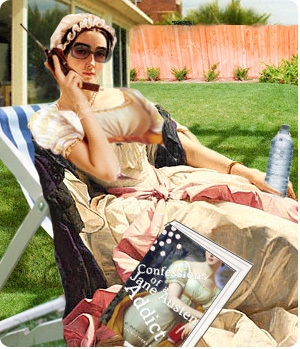 Or our Facebook events page: https://www.facebook.com/pages/Austen-In-Boston-A-Jane-Austen-Book-Club/213374625342080?sk=events. If RSVPing via the blog, just leave a comment saying you’re coming. Or if you use Facebook, you can RSVP there. I’ll also shoot you an e-mail, and hope to meet you soon!